Networking creates a great opportunity for Toastmasters to share of themselves and help others in their community! 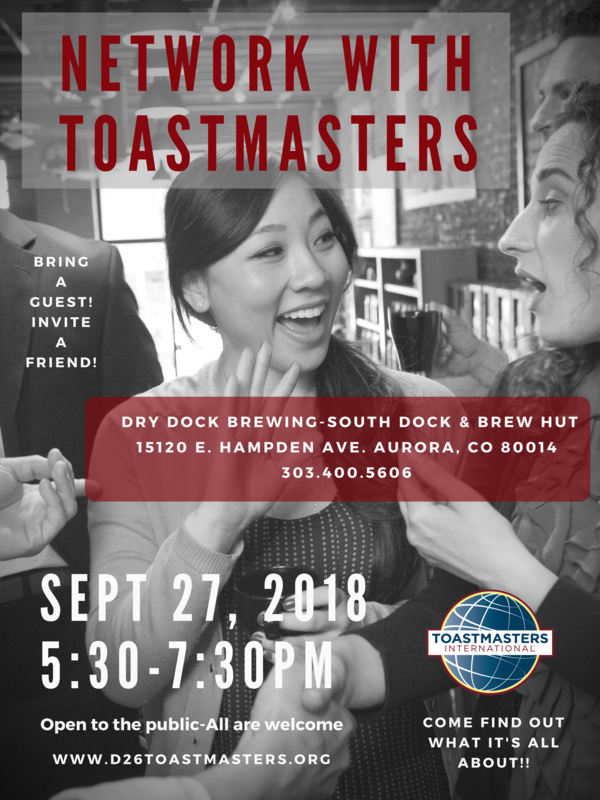 If you are interested in being a speaker , event host, or other, please contact me https://www.d26toastmasters.org/contacts-current at the Public Relations Manager email! Thank you! 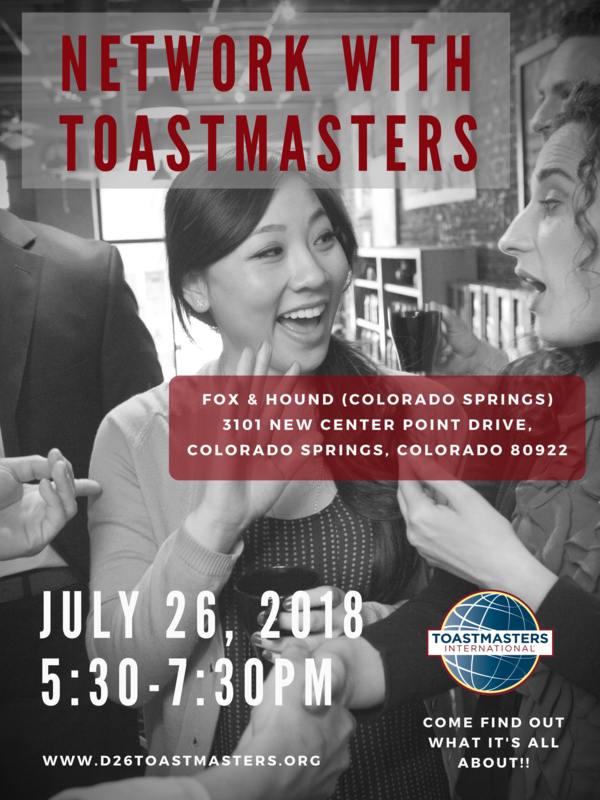 Look forward to seeing you at Toastmasters Networking! Would you like to build more confidence in your work, home or personal life? Would you like to move up or out of your current job into something better for your life? Are you fresh out of school or training and want to “level up”? Want to get rid of those ugly filler words “Uh, um, like, ya know, so, and so”? Would you like to lead better meetings at your workplace or school? Do you like applause and recognition? District 26 covers Colorado, Wyoming, and the panhandle of Western Nebraska. Colorado Springs Southern Division is made up of a variety clubs to fit your needs. Morning meetings, afternoon, evenings, Advanced and even some bi-monthly meetings for you to choose from as a guest or to join. Come to learn the benefits of Toastmasters and how improved skills can transfer to the world outside Toastmasters. 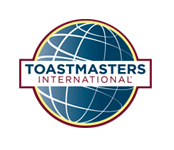 Acquire membership and promotional information on how you can be a part of the Toastmasters culture.